Bold moves are not for the faint of heart. Rarely do we get up to bat for the first time and hit it out of the park. Even the greatest three-point shooters alive miss more than they make. More likely, we fail, we learn, we repeat until we succeed. This willingness to take risks, and more broadly, the ease of applying sports metaphors to our daily lives, is no coincidence: RALIANCE knows sport is part of the solution to sexual violence and plays a critical role in engaging people across the sports pipeline to end sexual and domestic violence in one generation. RALIANCE partners with a wide-range of organizations to improve their cultures and create environments free from sexual harassment, misconduct and abuse. In December 2017, we launched the Sport + Prevention Center, a first-of-its-kind online resource that engages the sport community as a partner in ending sexual and domestic violence. The Sport + Prevention Center is first and foremost a prevention database. Users can search more than 100 sexual and domestic violence prevention strategies across the sport pipeline, from youth sports through high school, collegiate, professional, all the way to Olympic-level. The center also provides solutions based on audience, with specific options geared toward parents, coaches, athletes, and more. We partnered with the University of San Diego Center for Gender Equity and Health to research prevention in and through sport to ensure the resource was grounded in proven research. We conducted a thorough review of the academic literature and interviewed almost 50 experts, from whom we learned that sport can be both an agent and a platform of social change. Sport can help teach and reinforce the norms of sexual violence prevention, both within the sport setting and into the world beyond. And coaches, athletes and teams have incredible social capital with which to influence the broader norms that shape our culture and our interaction with other people. We translated these findings into a roadmap of specific action steps the sport community can take to achieve their goals. And we understood that people needed a learning exchange – a place to come together and share all of this information, best practices, lessons learned and opportunities for additional progress toward prevention. We believe sport is a strategy for prevention and an integral part of the solution.. Join us and be a part of the solution, too. 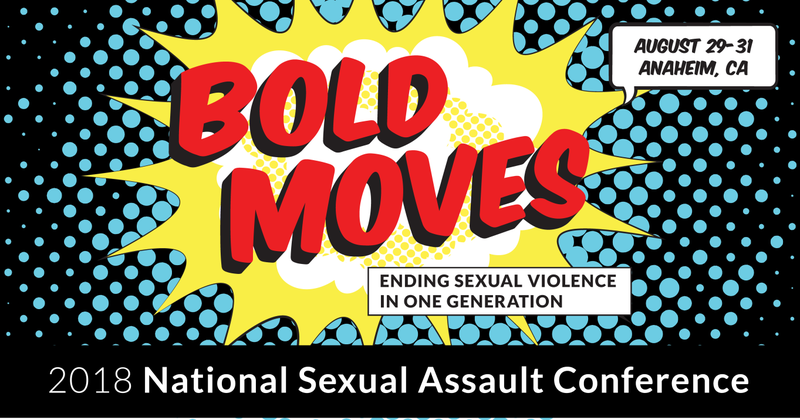 We’re at the 2018 National Sexual Assault Conference in Anaheim, California because we need #BoldMoves to end sexual violence.